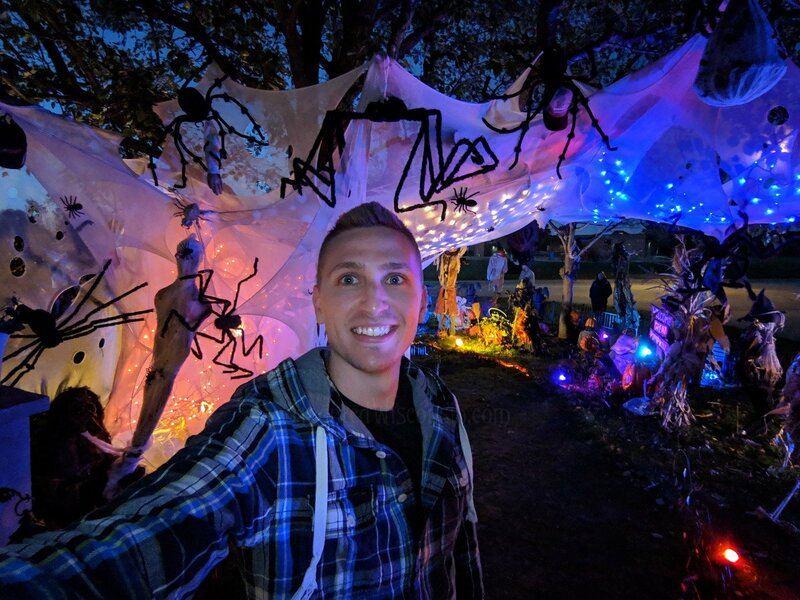 by KR385 (Junior Review Crew Member) after attending on Sunday, October 21, 2018 at about 6:30 p.m.
Wickedly Grande's Food Scare is an amazing display of lights and props that operates for a good cause. The cost to tour the attraction is non-perishable food items that are donated to St. Joseph's Food Program. If you are in the neighborhood and want to support a good cause, I would definitely stop by! The display also has a great photo area set up so be sure to bring your camera. The display was extremely easy to find as it was the only yard in the neighborhood with lights and props! Plenty of parking along the street as well. The props and scenes that are set up have a lot of detail to them. You could walk around the yard multiple times and each time you will find a new sight to see. Walking through the display took me around 15 minutes, but your time may vary. You set your own pace while taking in all of the sights. The most memorable moment for me was finding out how pumpkin pies are really made. Be sure to look around until you find out! Haunts that support the community have always been close to my heart. Wickedly Grande's Food Scare for St. Joseph's Food Program is a great attraction for the community that offers many Halloween themed sights and sounds. The attraction is suitable for all ages so be sure to bring the kids! by KR385 (Junior Review Crew Member) after attending on Saturday, October 6, 2018 at about 8 p.m. 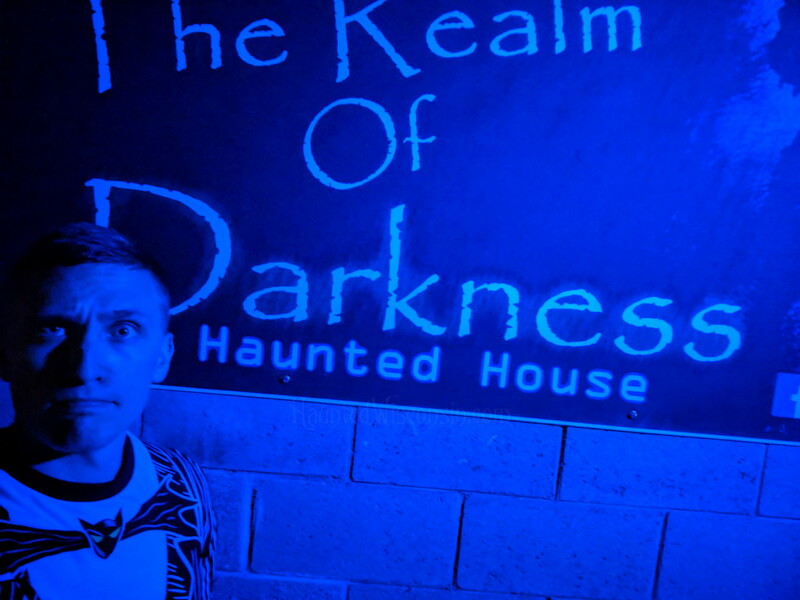 The Realm of Darkness was one of my favorite haunts that I have been to this year. The haunt brought me back to my childhood memories of a traditional haunted house. At the price of only five dollars per body, this haunt is accessible to most people and will not disappoint. Our group had a better time here than at some of the more expensive haunts in the area. The haunt is run by two young gentlemen, and their creation is extremely impressive. From the well thought out scenes to the sound of a chainsaw in the distance, this haunt keeps you on your toes around every corner. The Realm of Darkness is also collecting donations to provide local families in need with turkey dinners during the holidays. I cannot wait to return next year to see what the realm has in store. The Realm of Darkness is located behind Rico's Family Restaurant in Kaukauna. The haunt was very easy to find, and there was plenty of parking along the street. Actors were scattered about from the moment you stepped into the premises. They lured you in from the street which was a great touch! After we purchased our tickets there was a very short line to wait in, but we could have also hung out around the campfire if it were cold. The line wasn't long at the time that we had arrived, and the actors kept you entertained during the wait. The actors at The Realm of Darkness were well spaced out and covered a decent amount of area. During the whole experience, they kept our group engaged and entertained. In the future, I would love to see more dialogue to pull us further into the realm. The sets were extremely well put together and each and every room was well coordinated. There were a lot of creative passageways that made the haunt feel like it had a lot of thought and work put into it. Being that the haunt is only in it's fifth year, I wouldn't expect there to be any movie quality sets. For the price of five dollars per body, I would say that the quality of scenes far surpasses the attraction cost. The length of the haunt kept me wanting more. Being that the attraction is only in it's fifth year of operation, I understand there is room to grow and I cannot wait to see what is to come in the years ahead. At the time that we had arrived there was not much of a crowd but they did have a designated wait queue and even a campfire roaring (which is always a plus in my book)! My most memorable moment from the attraction was the first room that we entered. Our group was instructed to wait there until the room told us where to go. As we were waiting, I was taking in all of the surroundings and looking at how much detail and thought that was put into the room. If you do decide to enter the haunt, make sure you look up in the first room! I cannot say how impressed I am with this haunt. I cannot wait to see where the owners of The Realm of Darkness in the future. I wish them the best of luck, and really appreciate when a haunt donates profits to the community. If you are in the Kaukauna area, I wholeheartedly recommend stepping into The Realm of Darkness. Will you survive?